The 2019 edition of the WISCH will start on Jan 27, meet the future think tank leaders that will join us in this edition. Alejandra was born in La Paz, Bolivia. 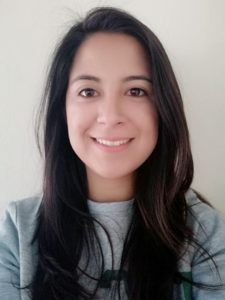 She has a bachelor’s degree in Economics from the Universidad Católica Boliviana “San Pablo” and a Diploma in Quantitative Methods for Economic Analysis from the Universidad Privada Boliviana. At INESAD Alejandra currently helps to manage the project: “Fortalecimiento de la Investigación en Desarrollo Económico en Bolivia” and also the web-site of EMINPRO-INESAD, which provides information to support an informed dialogue to move towards decent jobs creation for the Bolivian workforce. She is a member of the Student Scientific Society of Economics in her University and also Co-founder of “REDES-UCB”, a journal made by students that is published every year. Before she started to work for INESAD, she has been Assistant Professor in Microeconomy I, Microeconomy II and General Economics and also worked as a research assistant at the IISEC-UCB (Instituto de Investigaciones Socio-Económicas). Her areas of research are gender economics, labour economics and social justice. 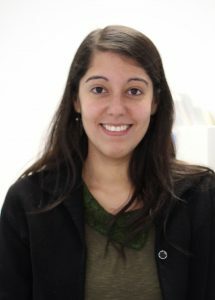 Andrea´s areas of expertise include the quantitative evaluation of public policies (impact evaluation), macroeconomics, economic policy analysis, public budgeting and financial management and development economics. Prior to joining Grupo FARO in Ecuador, she was Director of Economic Affairs (2017) and National Director of Decentralised Autonomous Governments (2012-2015) at the Ministry of Economy and Finance of Ecuador. 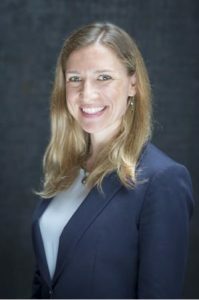 Additionally, she has worked as a researcher at the International Institute of Finance in Washington DC and at the Catholic University of Ecuador. She has also collaborated as general editor in The Public Sphere Journal at LSE and as an economic analyst at Banco del Estado. 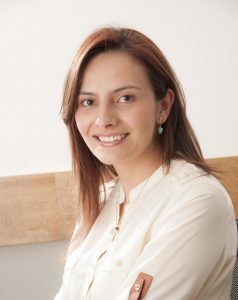 Andrea holds a Master’s Degree in Public Administration (specialisation in Economics and Public Policy) from the London School of Economics and Political Science; a Master in Finance and Risk Management from the Universidad Andina Simón Bolívar – UASB, and a B.A in Economics from the Catholic University of Ecuador. 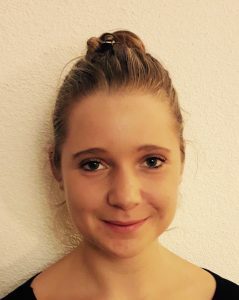 Anna is curren tly studying Environmental Sciences and Agroeconomics at ETH Zurich. She was born in Berlin but grew up in Switzerland. As Anna did my Bachelor’s in Lausanne, she is fluent in Swiss German, German, French and English. In between her studies, she spent a total of 1.5 years of her life in East and Southeast Asia, mainly in the fields of education and agriculture which gives her a solid background in related topics (longest stay was a 5-month internship in Myanmar). Anna has a strong interest in sustainable supply chain management and wants to fight for a Switzerland that takes its responsibilities regarding ethical international trade. From other applications. Before her studies, Anna did an internship with a Swiss NGO in the field of Education and then went to Cambodia to teach English in some of their schools. After her Bachelor’s degree, Anna did another internship in Myanmar where she worked for a local social enterprise in the field of agriculture and ICT. 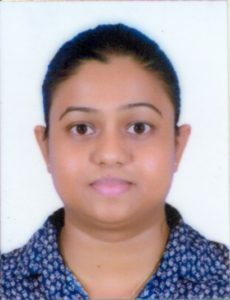 Ayomi Nanayakkara obtained her bachelor’s degree in Entrepreneurship and Management from the Uva Wellassa University, Sri Lanka. She is currently following a Master’s in Labour Relations and Human Resource Management at the University of Colombo, Sri Lanka. Ayomi has over 5 years’ experience in Human Resource Management in the private sector and development agencies. She is currently Human Resource Executive of the Centre for Poverty Analysis (CEPA), a Sri Lankan think tank. Although she holds titles ranging from economist to professor to CEO, Dr Beth Wheaton is most vocal about the fact that you don’t need a title, unlimited time or abundant money to change the world. Her greatest commitment in life is working with students, community members, colleagues and friends to put their unique talents and varied interests into action to create cataclysmic social change. Beth holds an M.A. and PhD in Economics from Temple University and an M.S. in International Business and Trade from Grambling State University. She is an Economics Senior Lecturer at Southern Methodist University (SMU), and the Founder and CEO of Equip the Saints, a non-profit consultancy that works to strengthen non-profit organizations worldwide and to equip world changers to fulfil their personal missions. 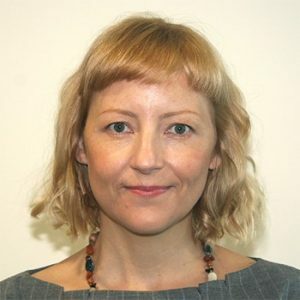 Beth is a researcher on the subjects of child labour, the economics of human trafficking, the economics of human rights, including capital punishment, violence against women, seeking asylum, terrorism, child abuse, genocide, hate, and gun violence. She has recently published the book “The Economics of Human Rights”. 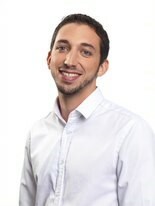 David Gomez-Alvarez has a PhD/MPhil in Public Administration from New York University (NYU); a MSc in Public Policy from the London School of Economics and Political Science (LSE); a BA in Public Administration from El Colegio de México. He is coordinator and coeditor of Steering of the Metropolis, a UN Habitat publication on metropolitan governance. He has held high level positions in Mexico’s public sector; has led and participated in civil society organizations; has worked for international organizations as consultant. Currently he is visiting scholar and fellow of the Special Program for Urban and Regional Studies (SPURS) at the Massachusetts Institute of Technology (MIT). 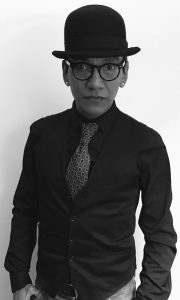 He is executive president of Transversal, a think tank based in Guadalajara, Mexico. 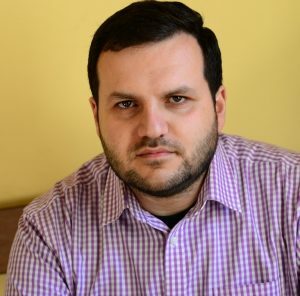 Independent analyst, Master of Public Administration and Political Science from Yerevan State University, and PhD in Political Science from Armenian Public Administration Academy. Co-founder of “Sahman” NGO, Local economic development manager at American fund for Armenian relief, executive secretary of Armenian Center for Social Development and Public Policy. Eshraq has received a B.S degree in Management Information Systems and master’s degree in Business Administration. She works as a senior project coordinator in an independent Saudi think tank with the objective of transforming the kingdom to a knowledge society through providing decision makers strategic options in the areas of social, cultural and economic development. She has been always interested in making a difference in other’s life through her consistent and continuance contribution in community projects and initiatives to make a positive impact in her society. Eshraq is interested in discovering the dynamic interrelationship between wisdom, digitization, and sustainability in the business world, that’s why she uses her educational background and professional experience to work in projects that would fulfil those interests. Eshraq is also the founder of Greenzie – a local initiative that aims to bring together scientific and humans’ understandings of the environment in a way that can be communicated and lead to effective actions. Founty Alassane Fall is research assistant at the Consortium pour la recherche économique et sociale (CRES) in Senegal. Currently she works on a project on gender responsive budgeting. 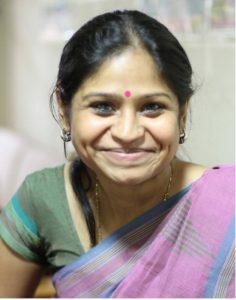 Founty has a master’s degree in economics with a specialisation on human resources. The experience she has gained with CRES has given her the opportunity to participate in several projects on different fields despite her young experience and this has allowed her to acquire new knowledge and know-how. 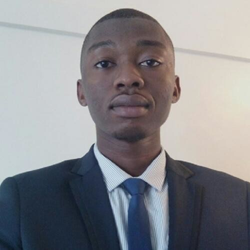 Ishaku currently works as a Research Associate at the Centre for the Study of the Economies of Africa (CSEA), a think tank based in Abuja, Nigeria that specialises in applied economic policy research. He holds a Masters in Economics from University College London (UCL), United Kingdom and a Bachelor’s degree in Economics from the American University Nigeria (AUN), Yola. His research interests include Development Economics and Education. Julien is an urban enthusiast at home (current obsession: neuro-urbanism), and at work for the Urban95 initiative at the Bernard van Leer Foundation – making cities better places by focusing on babies, toddlers and those who care for them. Julien contributes to the development of Urban95 strategy and manages the Urban95 Starter Kit, as well as global Urban95 partnerships and projects related to public space and mobility. He joined the Bernard van Leer Foundation after graduating from a dual MSc degree in Urban Policy at the London School of Economics and Sciences Po in Paris. He also has a Bachelor’s in social and Political Sciences from Sciences Po’s Europe-Asia programme and spent a year studying Architecture and Urban Planning at Tsinghua University in Beijing. 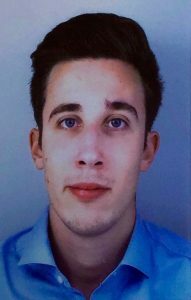 Julien is originally French, currently lives in the Netherlands, and also has academic and/or professional experience in India,China, France, Mexico, and the UK. Manuel Gustavo currently holds a Beatriu de Pinós Postdoctoral Fellowship of the Catalan Agency for Management of University and Research Grants (AGAUR) hosted at the University of Barcelona. Previously, he was Early Postdoc. Mobility Fellow of the Swiss National Science Foundation based at the University of Amsterdam. 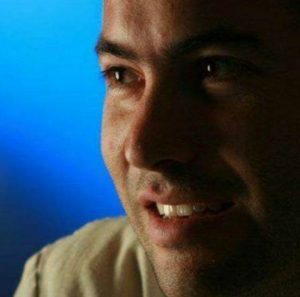 And before that, Manuel Gustavo held several types of research and teaching positions at the University of Geneva, at the Sorbonne-Nouvelle University, and at Paris Diderot University.Manuel Gustavo received his PhD with highest honours in 2015 from Paris Diderot University, and also got degrees in philosophy (B.A. 2006, M.A. 2008), linguistics (M.A. 2009), and logic (B.A. 2010, M.A. 2011) from Paris Sorbonne Universities. Maarinke is from Sydney, Australia. 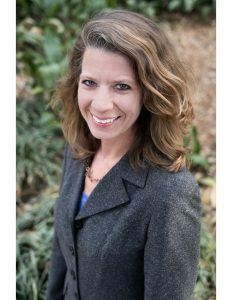 She has 15+ years experience in strategic communications and special projects management with particular interest is building collaborations to improve health and social outcomes. As well as being part of the team developing the think tank of The George Institute for Global Health, Maarinke is a volunteer community organiser, member of the steering committee of the Human Rights for NSW alliance and co-convenor of the Amnesty International local chapter in Newtown where she lives. Maarinke has a Bachelor of Business, Graduate Diploma in Health Communications and Policy, and recently obtained a Masters in International Law and International Development after an experience as a volunteer placement with Action Aid Australia where she worked In Mae Sot, Thailand at a school for refugee children. Internationalist from Universidad del Rosario and Postgraduate Certificate on International Business Management. Current student of Strategic Management Master. Professional experience of more than twelve years with an emphasis on think tanks’ management and finances. Active engagement in projects co-funded by public, private, national and international institutions. Min Zar Ni Lin is a Deputy Director of Research for Centre for Economic and Social Development (CESD), a Myanmar think tank focuses on research, advocacy and training activities to further the process of reform and development in Myanmar. He holds a master’s degree in economics from Chiang Mai University, Thailand and was a Research Fellow of the Sustainable Minerals Institute (SMI), the University of Queensland from 2014 to 2015. He is also a member of Rubber Sector Development Committee of Mon State Government. 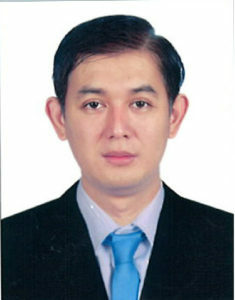 He had worked as a Deputy National Coordinator at the Myanmar Extractive Industries Transparency Initiative (MEITI) National Coordination Office, to facilitate a collaborative process with government, private sector and civil society to promote transparency and accountability in the extractive sector of Myanmar. His research interest is in the area of small and medium enterprises (SMEs) development, labour market and migration and natural resource governance. Mollie Zapata is a research associate for the Simon-Skjodt Center for the Prevention of Genocide at the US Holocaust Memorial Museum, where she is responsible for conducting quantitative and qualitative research on a wide range of issues related to genocide prevention, with a primary focus on the Center’s Early Warning Project. Previously Mollie had been working in natural language processing analytics at Protagonist, an international affairs consulting firm, for various government and foundation clients. Her other work experience includes the US Institute for Peace, the Institute for Inclusive Security, the Enough Project, and the National Geographic Society. 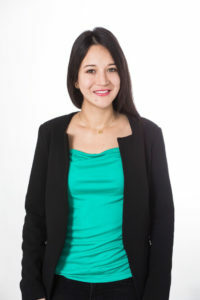 Mollie holds an MA from The Fletcher School at Tufts University and a BA in international affairs from Boston University. Natalie Echenique was born and raised in La Paz, Bolivia. She obtained a bachelor degree in Economics from the San Pablo Bolivian Catholic University. 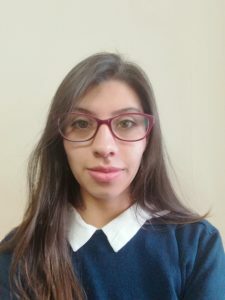 As a young researcher in ARU Foundation, she assisted on and led research on income distribution, labour market and gender inequalities in Bolivia. Also, she has assisted in the coordination of the Impact Evaluation Module for capacity development with ILAIPP centres. Before working at ARU Foundation, she was an intern at Bolivian Central Bank. In this position she assisted in macroeconomic research. 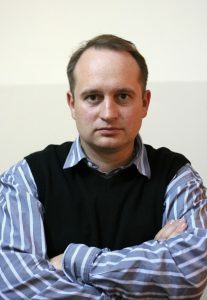 Roman is the executive director of Think Tank “Data Journalism Agency” and editor-in-chief for Texty.org.ua, Kyiv, Ukraine. Their website is a mix of classical and “digital” journalism. Since 2012 their team works on projects about corruption, open data, education, health care, city environment, state procurements, and specializes in telling a story using data visualization techniques. Roman professional experience in analytics and think tanks is about 6 years, and in media production – is more than 15 years. He has a master’s degree in journalism. Sébastien Chahidi is currently finishing a Master’s degree at the University of Tulane, New Orleans, as part of an exchange program. His home university is Zurich University. Sébastien is highly interested in green finance and renewable energies policies, as well as new technologies. In his opinion, public purpose policies can bring together research, politics and the economy in a cost-effective and mutually beneficial way. Shaaban holds a Bachelor of Commerce in Accounting from University of Dar es Salaam and Masters of Business Administration specialised in Finance from Open University of Tanzania. She is also a Certified Public Accountant registered by the National Board of Accountants and Auditors of Tanzania. 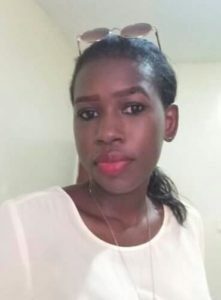 Currently Sulamba works as a Chief Administrative and Finance Manager with Science Technology and Innovation Policy Research Organization (STIPRO) in Tanzania. 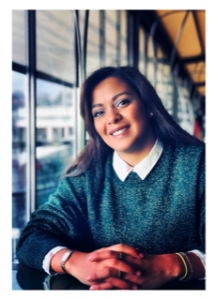 As a Finance and Administrative expert, Sulamba’s professional experience spans a decade of working and holding different senior roles in her area of expertise. 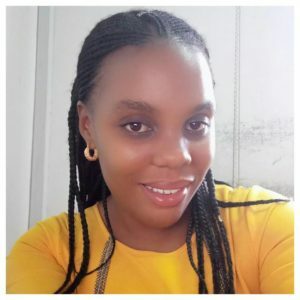 Before joining STIPRO in 2016, she worked with the Tanzania Insurance Regulatory Authority as a Senior Finance and Administrative Officer for three years. She has also worked with the Dar Es Salaam University Collage of Education (DUCE) as the senior internal Auditor from 2010-2013. Sulamba has also worked as an External Auditor with Ernst and Young Tanzania from 2008 -2010, which is one of the Big Four Auditing Firms in the world. Thomas is the Executive Director of the Centre for a Spacefaring Civilization. 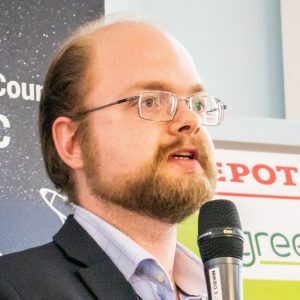 Additionally, he is currently working on a PhD in space law at Northumbria University in the UK, as well as being Co-lead of the Space Generation Advisory Council’s Space Law and Policy Project Group. He is a member of The Hague International Space Resources Governance Working Group and a member of For All Moonkind’s Legal Advisory Council. Varsha Pillai has over 15 years of experience in the communication space, a bulk of which was spent as a TV news journalist at news organisations like CNN-IBN and ANI-Reuters. She has worked across diverse communication verticals including internal communication, public relations and media advocacy in the NGO and for-profit sector. She was a National Film Archives of India (NFAI) research fellow in 2009 and in 2017 she received the Netherlands Fellowship to attend a course at Radio Netherlands Training Centre (RNTC) in Amsterdam. Currently she is a Program Manager, Policy Engagement and Communication at the Public Affairs Centre (PAC).